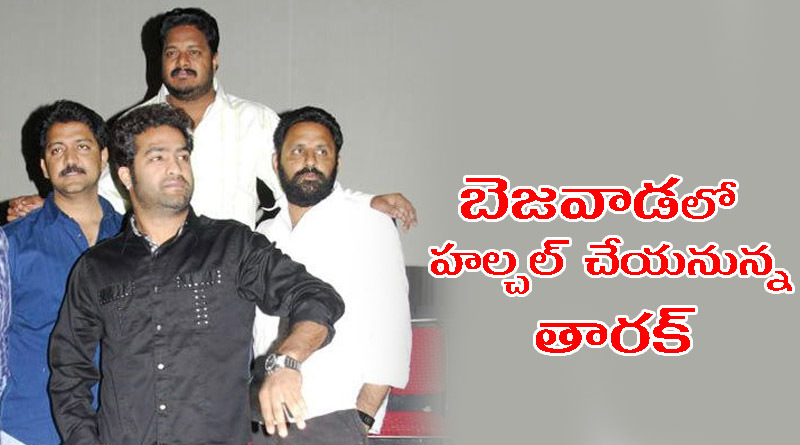 Will Nandamuri Taraka Ramarao famously known as jr.Ntr, the grand son of late. Ntr visit vijayawada soon? May be says the sources. It is known that yesterday Nandamuri Harikrishna visited the city to participate in opening of NTR MULTISPECIALITY VETERNARY hospital along with Nani Kodali and even created sensation as Nani is an anti-tdp leader. Now, the time has come for tarak to make something hot in city and break the channels with a news. Tarak may visit the hospital soon and then later to a village near by city to make his elder brother Nandamuri Janakiram dream project true. It is known that Janakiram passed away a year back when he was travelling to a village nearby city on his industrial works. Janakiram, who had a dream of establishing a company has stepped towards that and lost his life when he met with an accident. So,now tarak became responsible to take up the dream project of Janakiram and make it true and provid livelihood to many workers. So to full fill these Tarak is searching all the possible ways and tp seek help of his near and far. Will Tarak anounces his tour befor visiting or silently comes and moves away calmly remained secret.